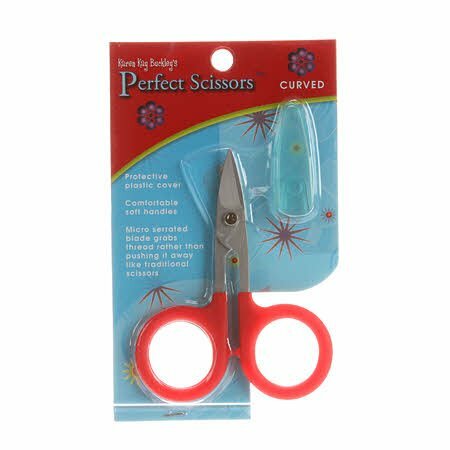 Micro serrated blade grabs threads rather than pushing them away like traditional scissors. Comes with a protective plastic cover. Clip threads close for sewing, embroidery, and quilting without damaging fabric.